Become a part of THE Summer Event in Outremont – the 7th edition of La Foulée des Parcs, on June 9, 2019! The organizing team needs you as a volunteer on Sunday, June 9, 2019 sometime between 6:30 am and noon. The Foulée has 200 volunteer positions to fill to ensure the success of this family run open to everyone. 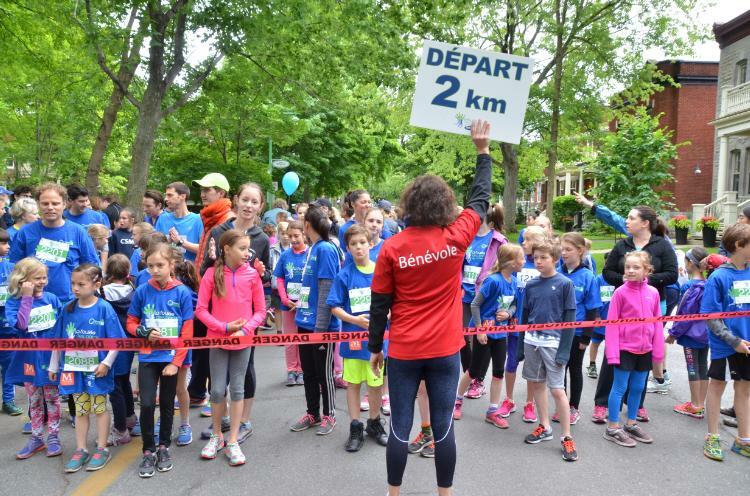 More than 2 000 runners of all levels will walk and run through the parks, the residential area, and the commercial streets of Outremont. As a volunteer, you will receive: an event t-shirt, a mini team training, a snack on arrival, a free lunch, and discounts and gifts from our sponsors! Note that you can run and volunteer (except for the course team) and as a volunteer, run with a 20% discount! Be an integral part of the neighborhood with us and launch your summer with great enthusiasm! Because of your commitment, you will be part of the success of this 7th edition of the Foulée des Parcs race! Invite your friends and acquaintances to contact us if they wish to volunteer.